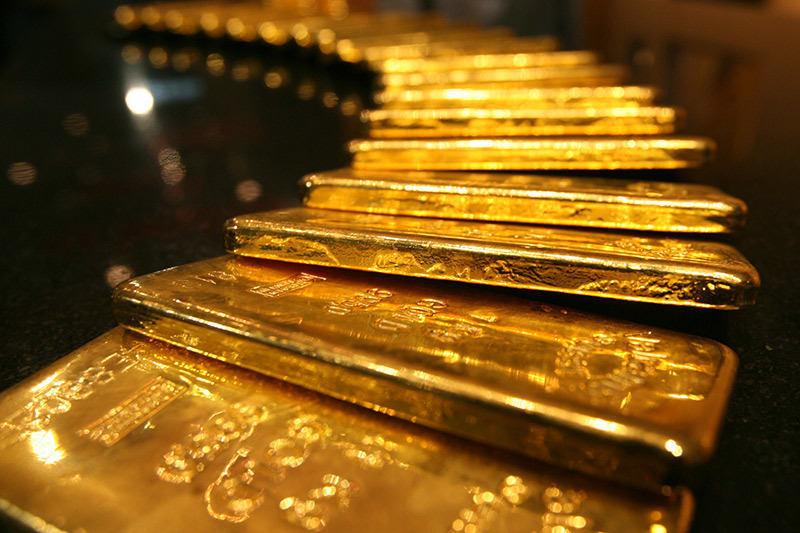 Following Monday's tepid recovery and indecisive move on Tuesday, Gold struggled for a firm direction and was seen consolidating within a narrow band near last week's 5-1/2 month lows. Currently trading with mild weakness, around $1211 region, the precious metal has failed to register any meaningful recovery, albeit has found some safe-haven support from the prevalent cautious sentiment around equity markets. Rising expectations that the Federal Reserve would certainly raise interest rates at its December meeting has been the key factor restricting any swift recovery for the non-yielding yellow metal. Hence, market players would remain focused on today's FOMC meeting minutes and look for further clarity over the central bank's near-term monetary policy outlook, which would eventually determine near-term trajectory for gold prices. In the meantime, US macro releases - durable goods orders, weekly jobless claims and new home sales data, later during NA session, would also be looked upon to grab some short-term trading opportunities. From current levels, $1208-07 horizontal area seems to act as immediate support, which if broken is likely to drag the commodity further towards $1200 psychological mark support. On the upside, momentum above $1217-18 immediate resistance now seems to lift the metal towards $1221 resistance en-route its next major hurdle near $1230 region.